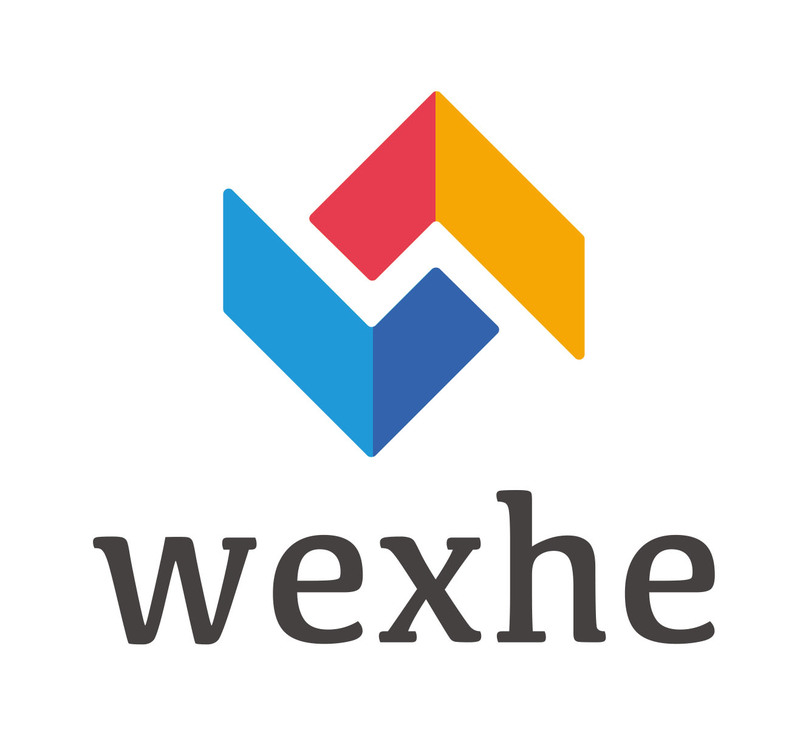 WEXHE Project contains a mixture of HEIs, SMEs, social partners and membership organisations to ensure main stakeholders are engaged and collaboratively shape and disseminate the outcomes and build capacity. The University of Groningen (1614) is a research-intensive university with a global outlook. Quality has had top priority for four hundred years: the University is in the top 100 of the most influential ranking lists. It holds currently 30,000 students and 5600 staff members from home and abroad. Talent is nurtured, enabling the University to bridge the gap between science and society. The University is committed to actively collaborating with the social partners, with a special focus on the research themes Healthy Aging, Energy and Sustainable Society. It is distinguished by the close link the University has forged between research and teaching, a bond that does justice to their interdependence. Students from every continent prepare themselves in Groningen for their international career paths. The University of Groningen will act as the overall coordinator of the project. It has a long standing tradition and good reputation in coordinating large scale project both in teaching and learning and research. Relevant here are in particular the projects and tenders which were developed and coordinated in the framework of the Tuning projects since the year 2000. These involved many persons, institutions and organisations from all over Europe and beyond. Groningen is responsible in particular for the Work Package 1. Management. It will also oversee progress made in the other packages. The units involved are in particular the International Tuning Academy and the Placement and Career Office of the Faculty of Arts, which has more than 25 years of experience. Groningen will also play a central role in the sub project / demonstration project 1. Valorisation of work experience in higher education. This role will be based on the experiences with a recent university initiative: Career Services, which offers careers advice before, during and after obtaining the degree. Its aim is to offer students the best possible facilities to prepare and develop their careers. Within the framework of Career Services, various activities are organized to help students make choices – study choices in particular – and prepare them for the job market. In order to achieve this, Career Services is working actively with faculties, study associations, alumni organizations and other providers in the field of careers services. The University of Warwick is one of the UK’s leading universities, with an acknowledged reputation for excellence in research and teaching, for innovation, and for links with business and industry. Currently, about 25,000 students are enrolled at Warwick, of whom about 8,000 are international. The University of Warwick is the lead partner of WP 5. It will coordinate the organisation of 1-2 national workshops in 7 countries “Training trainers and teachers from companies and HE” with 20+ participants by HEIs, Chambers and NOVATEX/Chamber Cyprus. Furthermore, 2 international workshops will be organized for work experience (Warwick) and entrepreneurships (Münster). Warwick will create steering material for all and will edit the report on experiences. 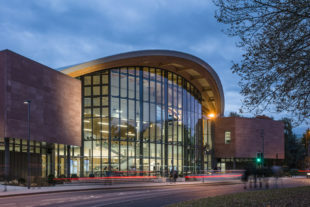 The University of Warwick will be involved in all of the other work packages and will draw on its extensive networks to identify good practice in the UK and beyond. It will contribute to the production of reports and other deliverables and contribute to collective decision making processes. The University of Ljubljana is a public autonomous educational, research and artistic HE institution with a very rich tradition. It was established in 1919 and currently encompasses 23 faculties and 3 art academies. 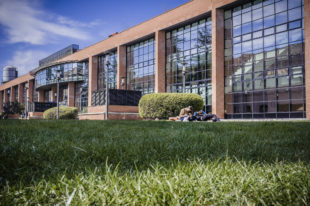 UL ranks among the top 400 universities according to the ARWU Shanghai ranking and among the top 3% Universities in the world according the Times ranking. The University of Ljubljana (UL) is the lead partner of WP 4 which focuses on the creation of replicable programmes / modules for internship / traineeship and entrepreneurship. In this work package UL will give lead to the activities, which involves all other partners, in particular, the four universities, the 2 Chambers and NOVATEX for making the first drafts of the modules. UL is also fully involved in all other work packages, in particular WP3. UL will support and provide the reports and deliverables, in accordance with decision-making processes and conflict resolution scheme. The staff involved in IEWEXHE is working closely with several departments within the Institute of Social Sciences. In many of these centres there is a special emphasis on the education system, employment and social partnerships – in particular on the interaction between the macro-systemic and micro-institutional levels. University of Applied Sciences in Germany. Acting globally, the S2BMRC with its concept of Science-to-Business Marketing is a world leading centre dedicated to interactions between science and business. Since its inception in 2002, the centre has substantially further developed the methodologies of Science-to-Business Marketing and University-Business Cooperation (UBC), whilst also making unique contributions to related fields such as Entrepreneurial Universities, Technology Transfer, research Commercialisation and Innovation and Business Development in higher education institutions. In the IEWEXHE project S2BMRC will coordinate WP3 Investigation. It will coordinate the activities of the universities, the Chambers of Commerce and NOVATEX involved to develop 12 case studies each covering placements, traineeships and entrepreneurships. It will also be involved in all other WPs. It has a special role in WP 5 Capacity Building where it is expected to organise and implement a one-week workshop for training the trainers focusing on entrepreneurship. The Center has its own conference series and a large newsletter database to support the dissemination of the results. NOVATEX SOLUTIONS Ltd was established in 1999. The company employs highly qualified technical and scientific staff, and supports academia and they industry by offering high quality products for use in engineering labs and research organisations. It also offer the same high quality products and services to private companies, government agencies, research institutes and industry along with consultation services for complete solutions. These products and solutions are innovative and they are the result of close collaboration with universities and feedback from industry. Novatex was among the first companies in Cyprus that collaborated with universities in joint research projects either as partner or coordinator. Novatex Solutions Ltd will mainly contribute in the identification, selection and description of examples of excellent practices (including placements in its company) or which it has information on: placement/internship, traineeship and entrepreneurship. These will be used as references for the case studies to be implemented by other partners. They will provide advice on the integrated models that will be prepared on the basis of the examples of excellence and the case studies. Moreover, Novatex Solutions LTD will test models for offering internships/placements, trainees and assisting entrepreneurship and also raise awareness about the outcomes of the project when and if appropriate to all interested and involved parties. Thus Novatex Solutions will not only help in the identification of best practices but it will also help to create the models (from its own perspective) and informing all necessary to get involved to apply these models. The University Industry Innovation Network’s (UIIN) mission is to exploit the full value of collaboration and cooperation (open innovation), ultimately making an impact to academia, business and society. UIIN was founded in 2012 and is a dynamic network of academics, practitioners and business professionals focused on establishing and improving relationships between education and industry. With more than 200 members from 25+ countries, UIIN has advanced to a leading European network dedicated to fostering support structures for university-industry interaction, entrepreneurial universities and collaborative innovation. UIIN will be the lead partner of WP7 and it will take a lead for the dissemination and exploitation of the project and its results. With access to key contacts in academia and industry, and with various communication and distribution channels reaching a large variety of European stakeholders, UIIN will ensure that the value created (e.g. the new programmes) will also be exploited (e.g. implementation of the programmes). Key activities of UIIN include planning activities (e.g. dissemination, exploitation and sustainability plan), preparation activities (e.g. corporate design, promotional material and further extension of existing contact databases) and implementation activities (e.g. communication, events, agreements). Besides the dissemination and exploitation focus, UIIN will put special emphasis on creating a dynamic environment for the topic of work-based learning/work experience so that the results and the project idea of fostering work-based learning will be further developed by those passionate about the topic (goal: sustainability). Besides its role as the lead partner of WP7, UIIN will support the other WPs by integrating a broader perspective as well as bringing in key contacts which can contribute to executing the different activities, and finally making the impact which the project aims to make. The Chamber of Commerce of Spain is a public law entity, with its own legal status (Law 4/14), and with full capacity to operate in order to carry out its activities. It acts as intermediary between the private sector and the national government, coordinates the actions and initiatives of the Chamber of Commerce networks and fosters relations between them. The Chamber of Commerce of Spain will have the role throughout project to represent the business activity perspective. This is important as the project aims to enhance the relationship between higher education and appropriate employment. The institution will provide the practical experience that relates with the interaction between education and employability and the institutional contact with government and the business sector in all the working packages (WP). More specifically the Chamber of Spain will in the framework of WP 3 develop 12 case studies related to work placements, traineeships and entrepreneurship. Furthermore, it will play an important role in developing, analysing and evaluating the so-called 12 integrated modules from the business perspective. It will also assist the Polish Chamber in WP8 Evaluation. In the framework of WP 5 Capacity Building it will organise 1 to 2 national Training the Trainers workshop which is also intended to promote policy making in work-based learning. The Polish Chamber of Commerce (PCC), founded in 1990, is the largest economic self-government institution in Poland. It includes over 150 business organizations. PCC’s mission is to establish and develop strong economic self-government institution and to support Polish entrepreneurs on both Polish and integrated EU market. The Polish Chamber of Commerce will coordinate WP8 with support of the Spanish Chamber of Commerce. It will most of all represent the business activity perspective in the IEWEXHE project. This is important as the project aims to enhance the relationship between higher education and appropriate employment. PCC will provide the practical experience that relates with the interaction between education and employability and the institutional contact with government and the business sector during all the working packages (WPs). More specifically PCC will in the framework of WP 3 develop 12 case studies related to placement, traineeships and entrepreneurship. Furthermore, it will play an important role in developing, analysing and evaluating the so-called 9 integrated modules from the business perspective (WP4). The European Association for Quality Assurance in Higher Education (ENQA) is a voluntary association of European QA agencies which aims to contribute significantly to the maintenance and enhancement of the quality of European higher education and to act as a major driving force for the development of quality assurance across all the Bologna signatory countries. ENQA disseminates information, experiences, and good practices in the field of quality assurance in higher education to European QA agencies, public authorities, and higher education institutions. 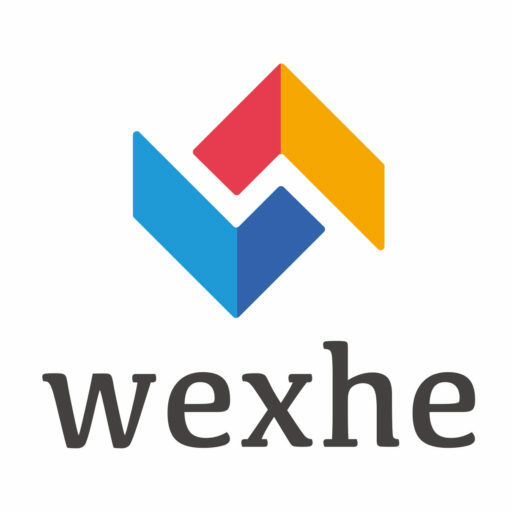 ENQA will lead WEXHE’s work package 2 on “internal quality assurance” by coordinating with the other partners, preparing periodic QA reports, coordinating the steering group, managing the coordination between the steering committee and the coordinator, and by ensuring that the final QA reports are ready for submission to the EACEA. ENQA will also undertake the task of mapping the state of the art of work-based learning in relation to quality assurance. Within this perspective, ENQA will prepare a survey addressed to its membership and conduct qualitative analysis including case studies and targeted interviews, the overall findings of which will feed into a report. Furthermore, ENQA will take part in the dissemination activities of the project by supporting the project web page with relevant input, supporting the WEXHE e-journal, participating in promotional events, and supporting the dissemination of the project and its results at the European level and through its members, for example, at an international workshop organised by ENQA. Finally, ENQA will take part in various project meetings/events and contribute to the financial and administrative management of the project by providing necessary input and information for the midterm and final reports and when requested. EURASHE is the European Association of Institutions in Higher Education that offer professionally-orientated programmes and are engaged in applied and profession-related research within the Bologna cycles. The mission of EURASHE is to promote the interests of professional higher education in EHEA. In the IEWEXHE project EURASHE will perform the role of the full partner and it will coordinate WP9 Policy Making. Besides contributing to work packages 3 and 4, a strong focus will be given to coordination of policy development in work experience. The strong position of EURASHE within the EU policy area linked to higher education provides the organisation experience to perform this task, first of all researching existing policy in relation to the development of work experience in higher education and then mapping out ways forward for policy development, particular at the European level. EURASHE will support the work of national partners, researching policy development and mapping the way forward. Following the national consultations, EURASHE will organise as part of WP5 Capacity Building, a European event in Brussels, involving EU stakeholders and policy makers from the organisational and institutional level. 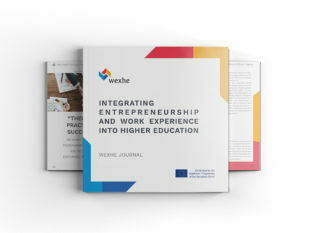 Finally, EURASHE will ensure the involvement of students and students’ representatives in the project in Integrating Entrepreneurship and Work Experience into Higher Education in order to have a full picture and involvement of all the stakeholders.